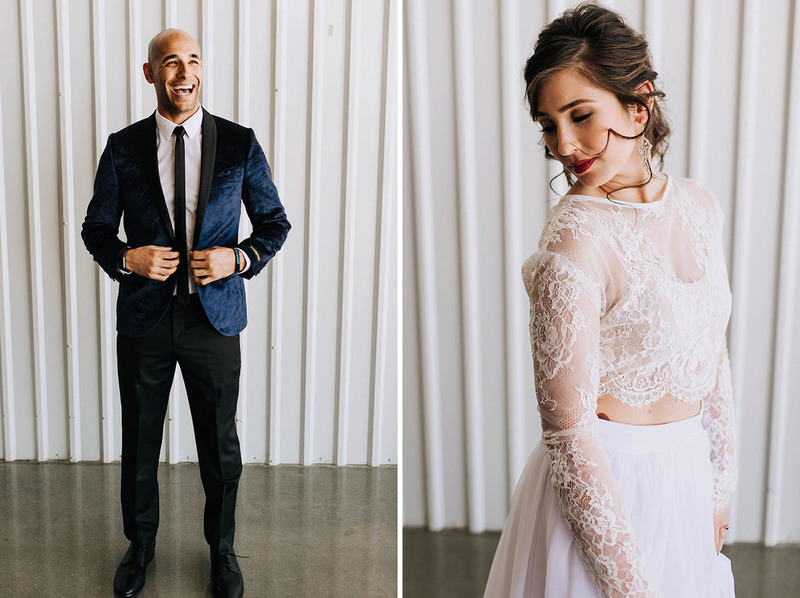 We here at GWS are alllllllll about destination elopements… So today’s styled shoot + elopement inspiration gets a major stamp of approval from us! 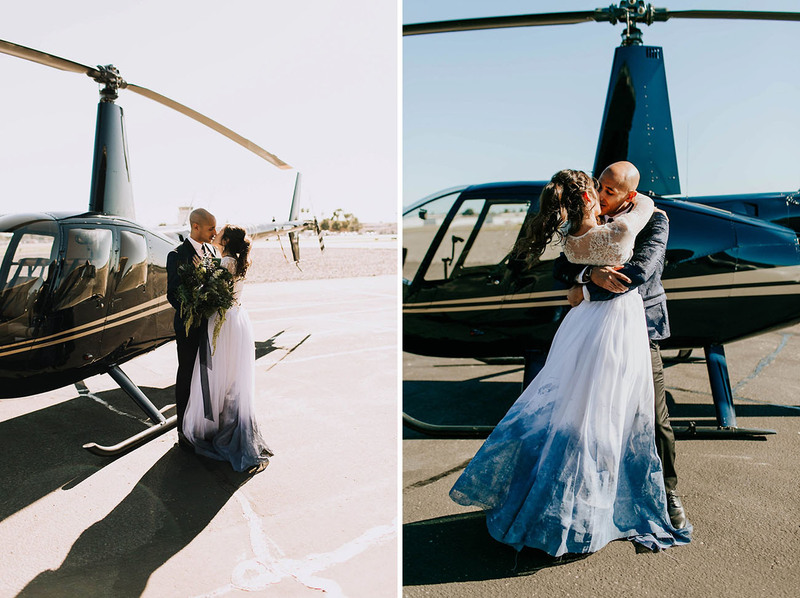 Candace Jolee Events planned this stunning day at the brand new Hangar 21 Venue, located in Fullerton, California… And then the couple took off via helicopter to say their vows on the secluded island of Catalina, right off the coast of Southern California! So cool, right?! 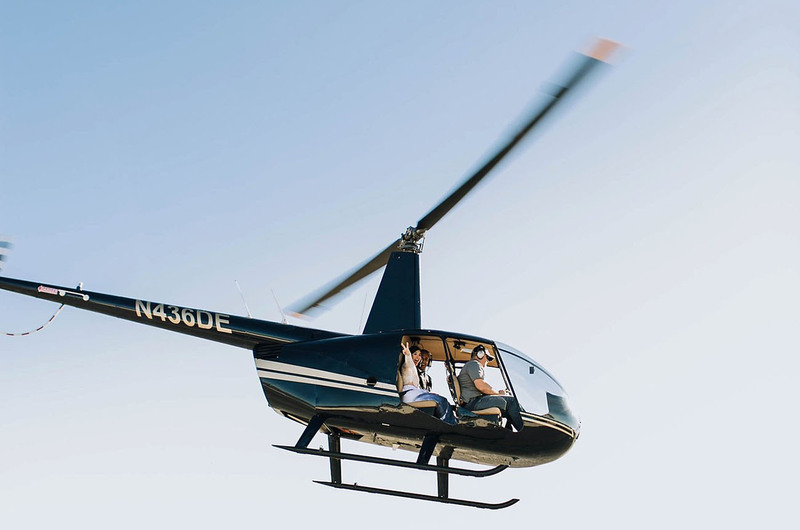 Ready to take flight and see how it all went down? 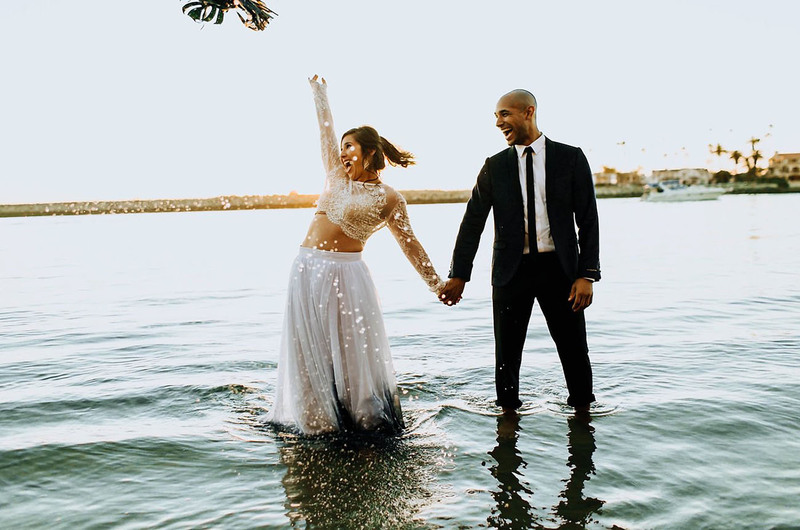 Let’s take a gander at all the dreamy inspo captured by Alexandria Monette! 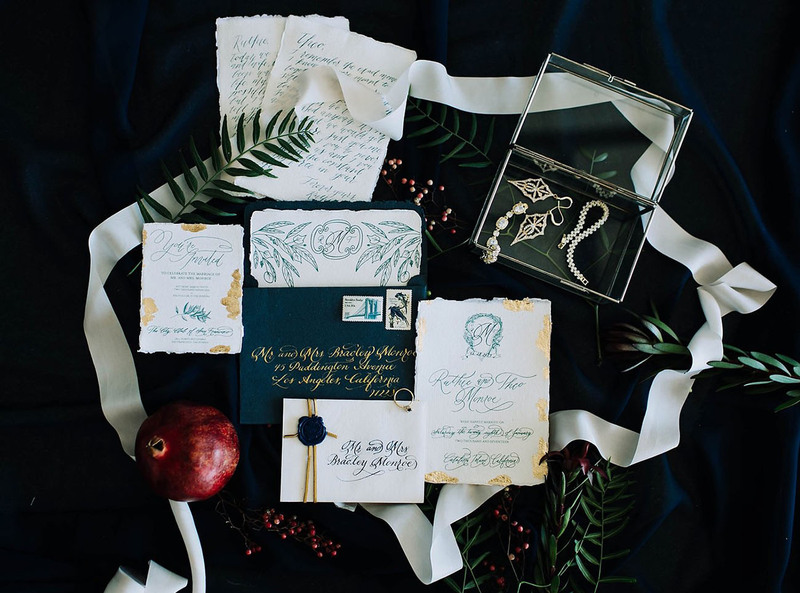 Emulating the hues of the ocean at golden hour, we’re diggin’ this luxe invitation suite from Made by Meer. 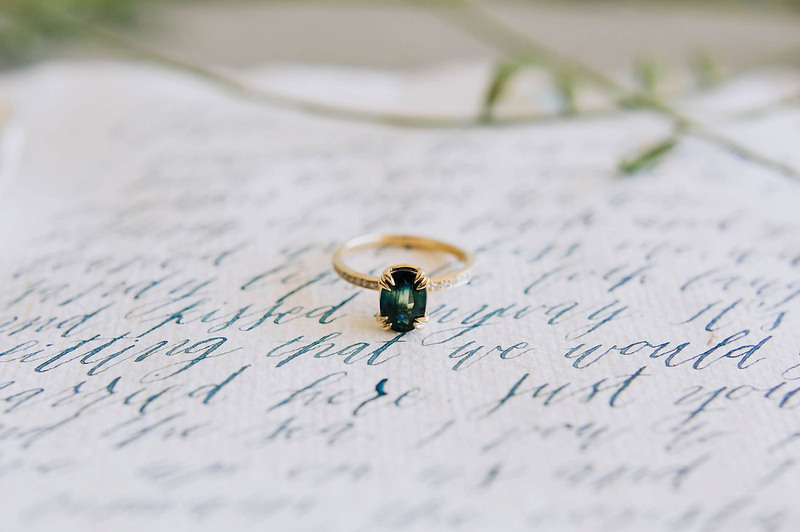 Hi pretty emerald ring by Studio 1040! 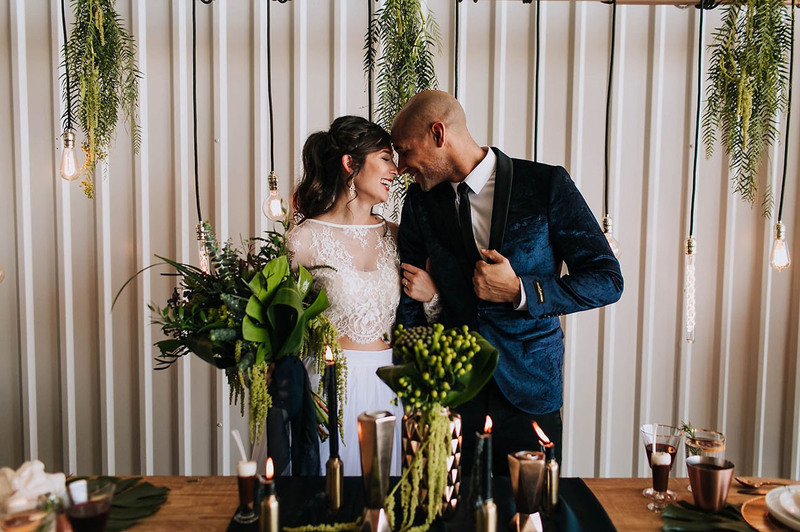 Gold, black, copper, and greenery galore — all the florals were done by Sweet Stems Florist! 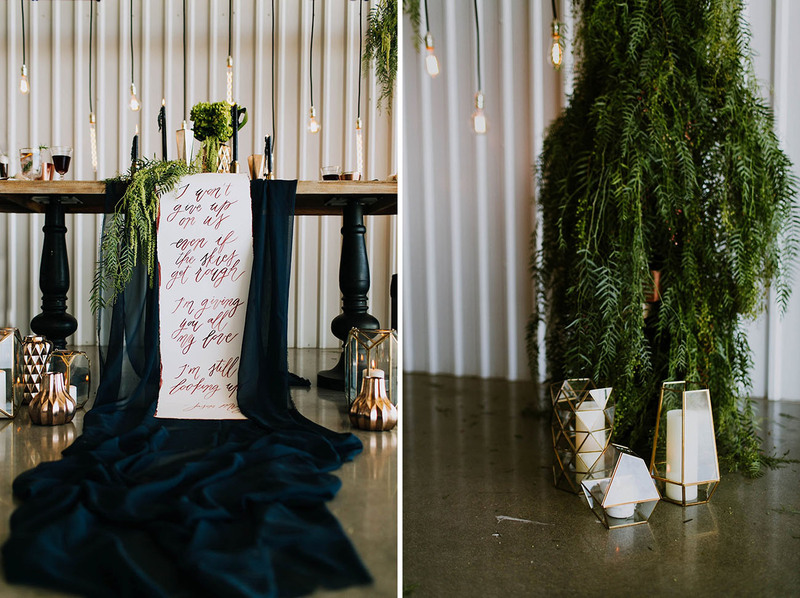 This setup is seriously DREAMY. 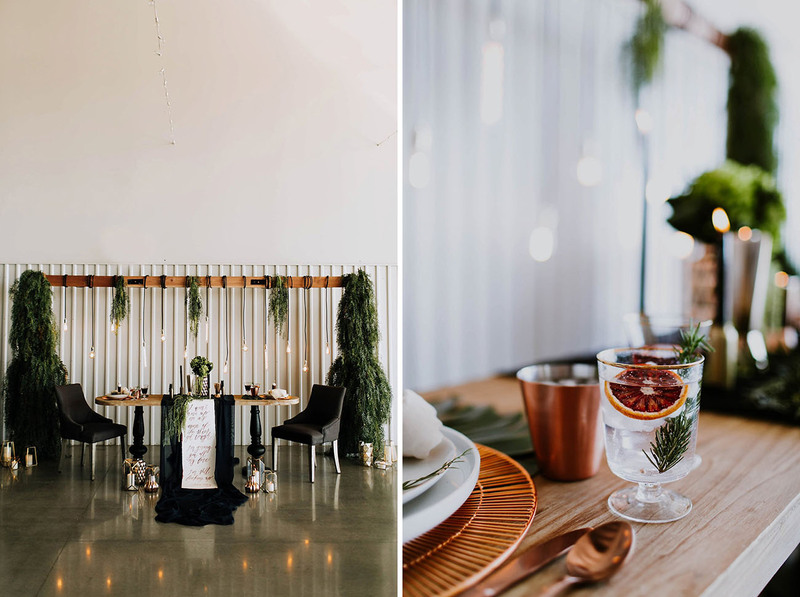 Props to Perfectly Poised Events for the day-of styling! Want to create a similar look? 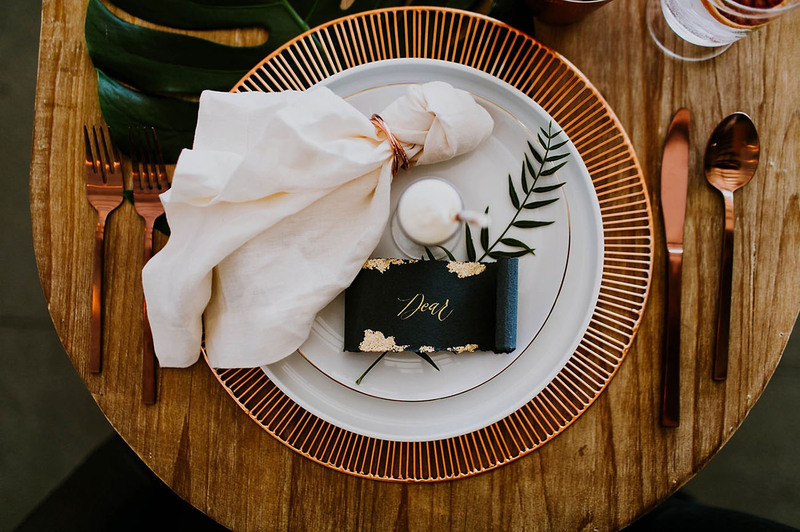 All of those pretty tabletop pieces are from Crate & Barrel. 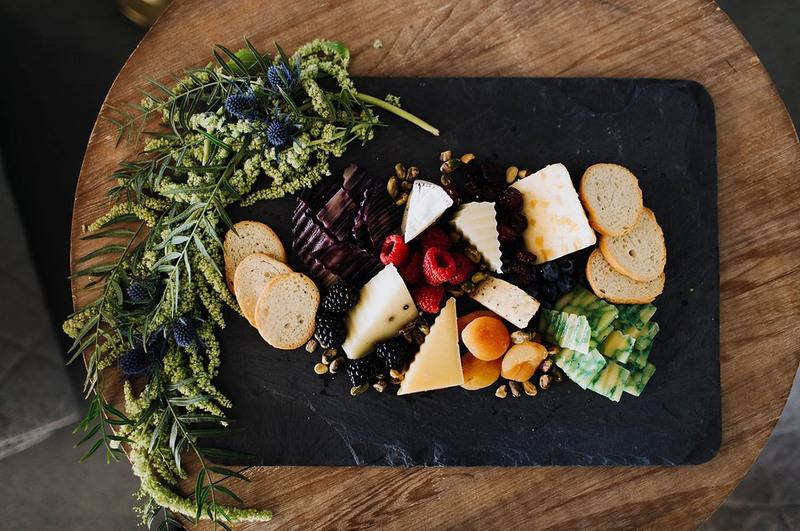 Who else is drooling over these delectable bites provided by Jay’s Catering? HER LACE TOP!! Isn’t it just darling? It’s by Sweet Caroline Styles. 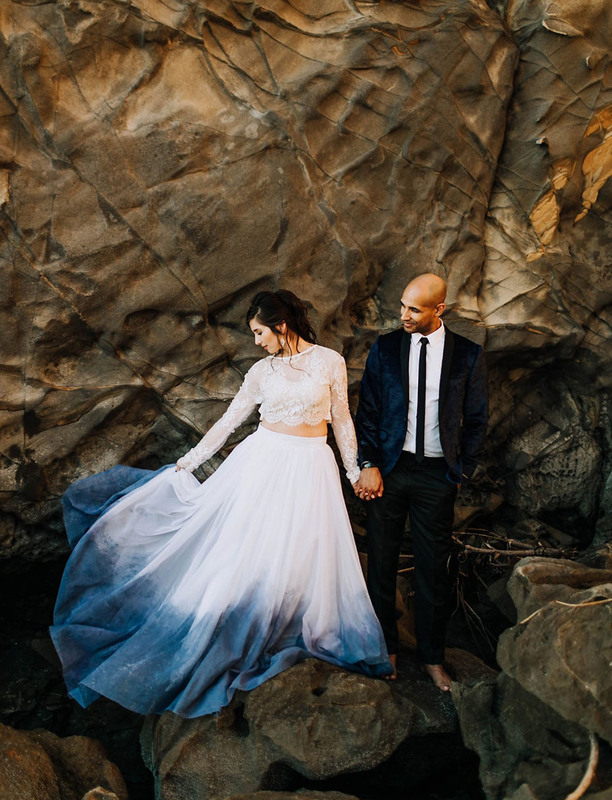 Just wait until you see the watercolor-inspired skirt to match it! Can you imagine doing this?! How fun!! Wasn’t that pure *MAGIC*?! 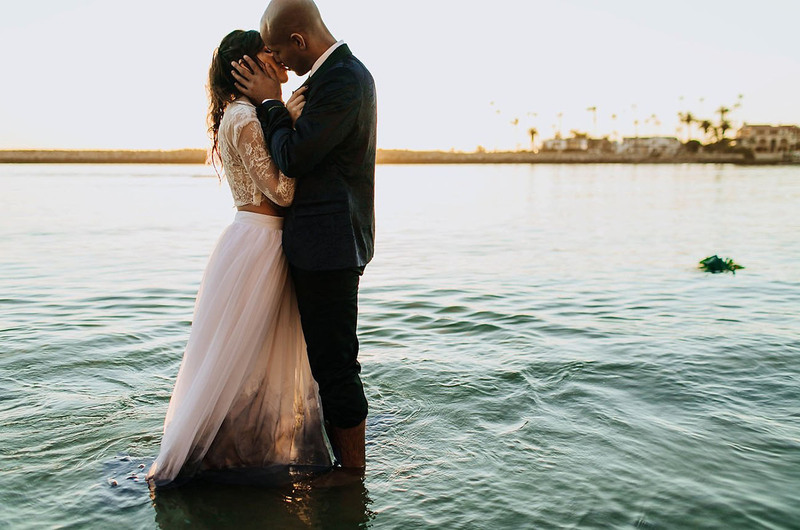 A huge thank you to the talented team behind this shoot for all the California cool elopement inspiration. Make sure to pop on over to Hangar 21 Venue for more info regarding their June 21st, 2017 Grand Opening celebration! For just a little bit more, check out this video by JC Guzman! 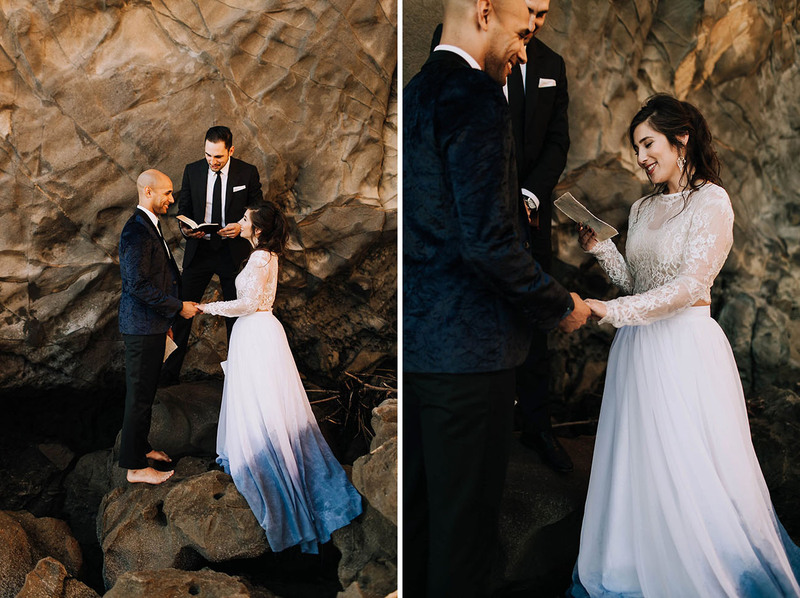 A Winter Elopement in an Ice Cave! 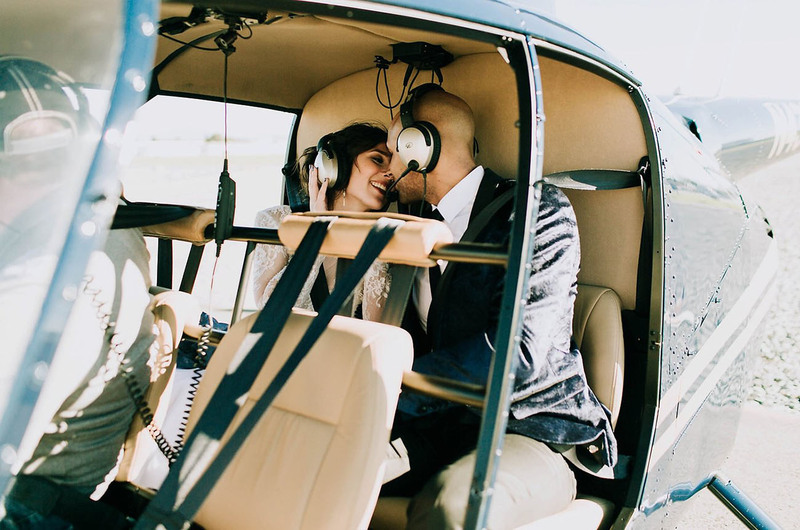 This is such a great story of this couple’s elopement. I wonder if the family was frustrated or upset about not being invited / not having a large wedding. The location was super cool and it being at Catalina is beautiful. 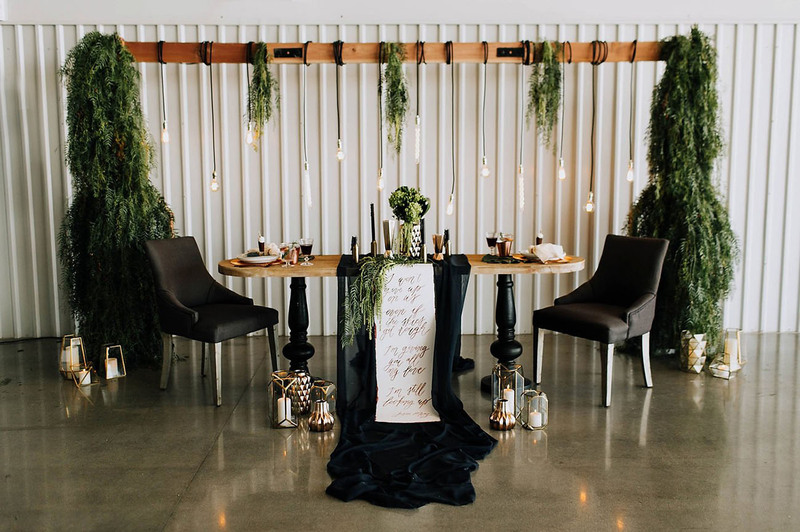 Our wedding is planned in Sonoma County and we are looking at venues and event centers right now. 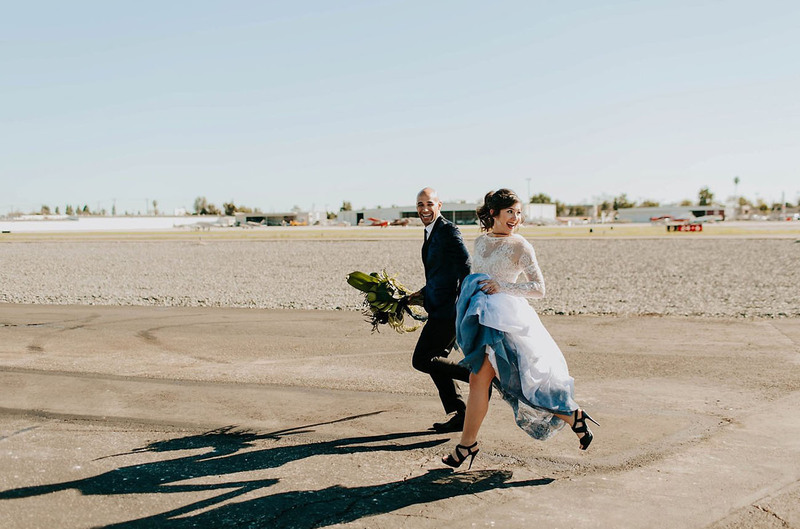 We are hoping to find wedding caterer’s that are less expensive than most – and maybe the venue we pick will provide wedding catering if we get lucky. Regardless, this idea is so great and so much cheaper than a whole wedding. Congratulations to them! Thanks for sharing. Ryan – that is the BEST COMPLIMENT EVER! Your support always means a lot to me! I love these images so much! Looks like such a fun adventure! Wow, never seen a dress like this before! So cool! Really great work of the photographer! The details and THAT DRESS… WOW!!! Absolutely love these unique touches! 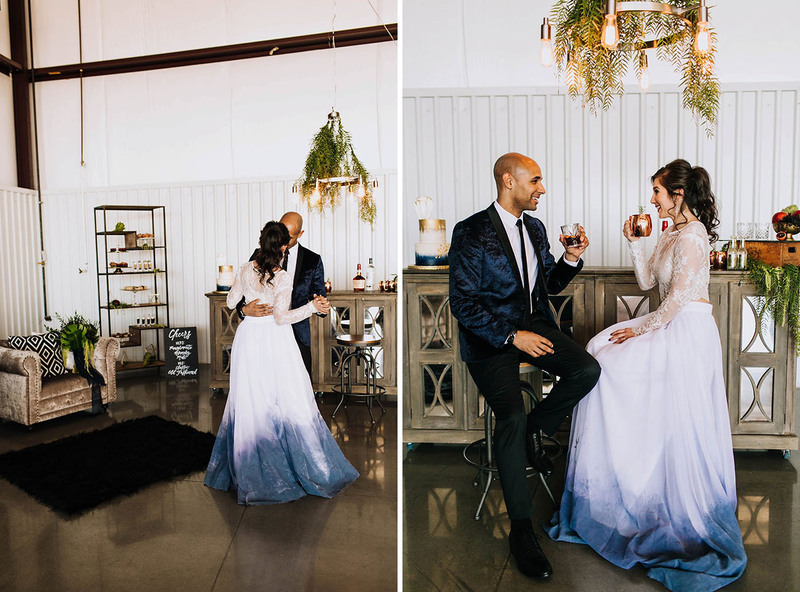 The dress with the dips of blue!!!! LOVE!